Washington, D.C. — Wood Products Council, an educational initiative that provides free technical support and resources related to the design and construction of commercial and multi-family wood buildings, issued a “call for nominations” for its 2019 U.S. Wood Design Awards. The awards recognize excellence in wood design, engineering, and construction, as well as innovative projects that showcase attributes of wood such as strength, beauty, versatility, cost effectiveness, and sustainability. The deadline for nominations is September 28, 2018. Nominations will be judged by an independent jury of building design professionals, who will also select up to 10 projects to receive regional excellence awards. Program rules, category descriptions, and nomination information are available on the WoodWorks website at http://www.woodworks.org/wood-design-awards/nominate. 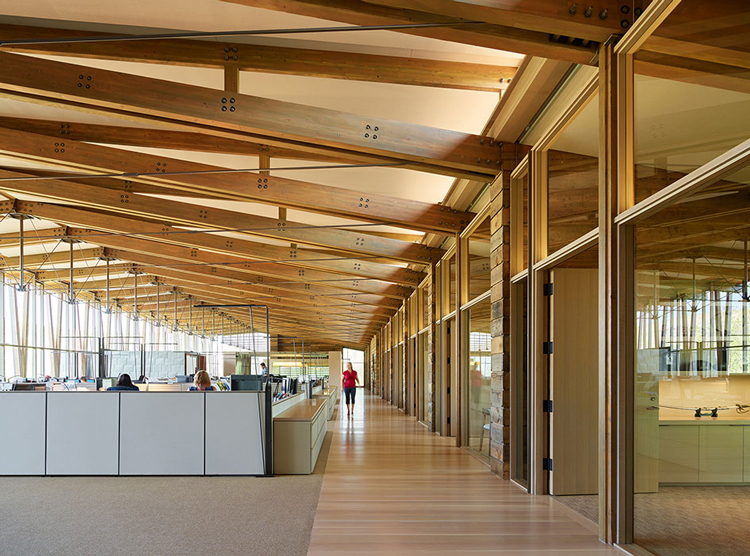 Special consideration will be given to recently completed buildings, projects that utilize wood as a dominant structural element, and designs that exemplify new opportunities for wood construction. Award submissions must be received by midnight PT on September 28, 2018. There are no nomination fees and multiple submissions are encouraged. To be eligible, projects and nominated firms must be located in the U.S. and projects must be fully constructed by September 28, 2018. With the exception of the Durability & Adaptability of Wood Structures category, Wood Design Awards apply to new construction only, which includes significant additions. Structures other than buildings are not eligible. Complete details and nomination materials are available on the WoodWorks website at http://www.woodworks.org/wood-design-awards/nominate. Past winning projects can be viewed in the project gallery at http://www.woodworks.org/project-gallery.